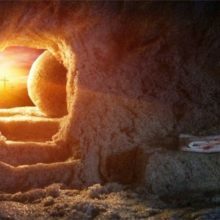 The South Yarra Community Baptist Church would be honoured to share our worship with you at any time you are able to visit us. Here’s the brief version of what to expect and what you might want to know. Our worship service is held at 5:00 pm each Sunday, and goes for about an hour and a half, of which only about 15 minutes is taken by the sermon. We usually serve a light meal afterwards and we would be honoured to have you join us for that too. If you do, you can expect to be at the church from 5:00pm until about 7:00 or 7:30pm. 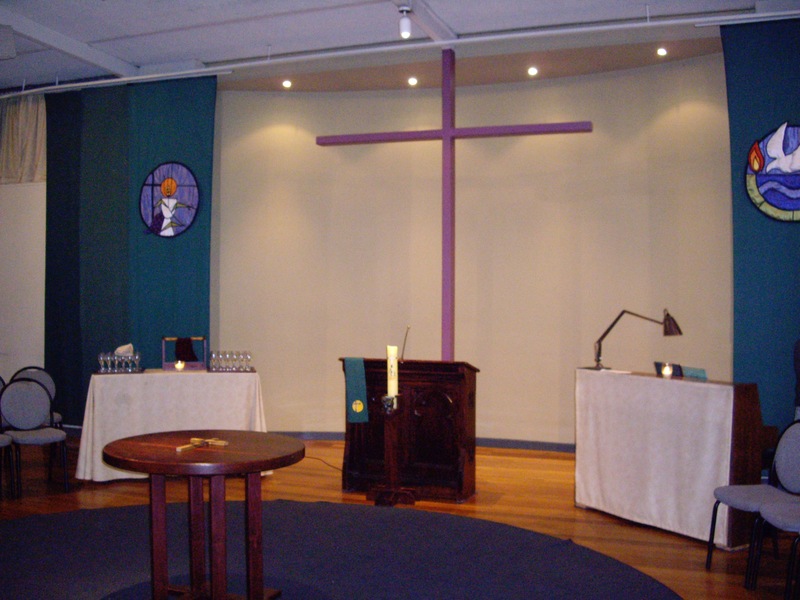 Our worship space has a reverent feel and is richly decorated with sensory aids such as banners, icons, incense, and candles. However, there is no expectation of silence before the worship service begins. You are free to wander around and look at the space and meet people, and you will see and hear others greeting one another, sometimes noisily! 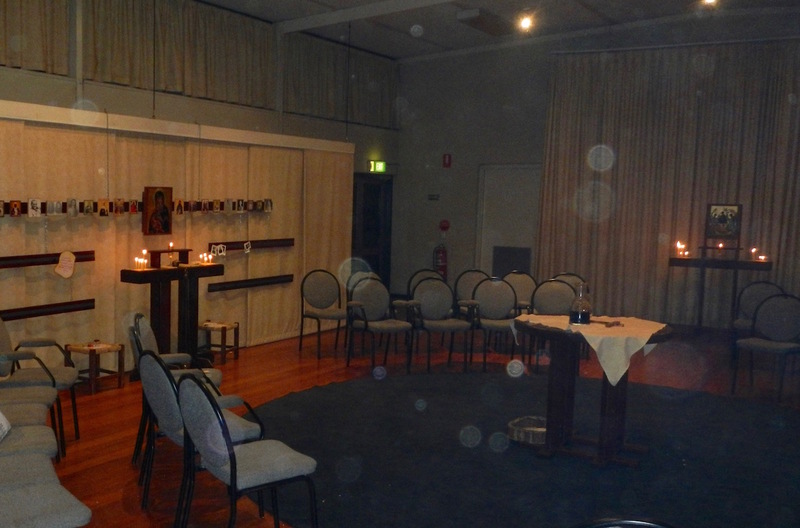 There is a small prayer chapel at the rear of the property which is available to anyone who wants to prepare in prayerful silence. 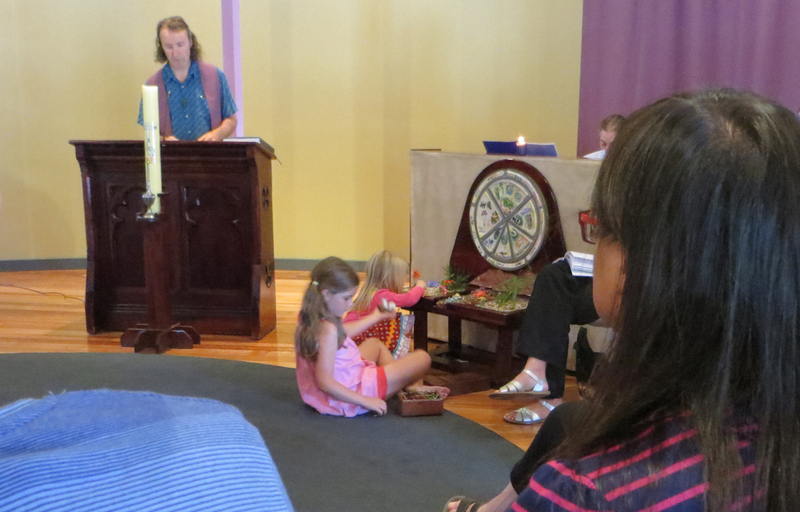 We are a small congregation, usually numbering between 25 and 40 people each Sunday, including children. We have a good spread of ages, with most age groups represented. Everyone is welcome to participate fully in our church, regardless of age, race, religion, capability, sexuality, or immigration status, and it is often noted (with surprise!) that this seems to be a church where people feel free to be quite honest about themselves. Our church building is wheelchair accessible (through the second entrance) and has wheelchair accessible toilet facilities. We provide large-print versions of our written worship materials for those who are visually impaired. We acknowledge that our service can be difficult for people who are hearing impaired, because many of the spoken parts of the service are not led from the microphone, but we do have a hearing impaired member who copes quite well. We welcome and encourage children of all ages to participate in the whole of the worship service, and we gladly accept that they will add to the sound and movement in unscripted ways. Our children quickly learn to keep this to respectful levels, and they are quite good at passing on this learning to newcomers. Many of our children choose to sit together on a carpeted area of the floor, and there are books and art and craft materials available in this area, along with a weekly sheet of suggestions for things they might do or make that relate to the theme of the week. There are baby change tables in both the men’s and women’s toilets. Our worship style is quite different from most churches, especially most Baptist churches, so be prepared! 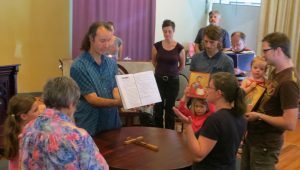 Sometimes called “ancient-future” or even “bapto-catholic” worship, it is a reverently playful and creative blend of the ancient liturgical patterns of the early church with contemporary Australian language and imagery. 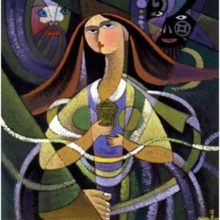 Visitors from contemporary praise-and-worship churches find our language, dress code, and some of our music familiar, but are often surprised by some more “catholic” elements – our use of written prayers, icons and incense, lots of Bible readings, and weekly celebration of the Lord’s Table. Visitors from more traditional liturgical churches (eg. 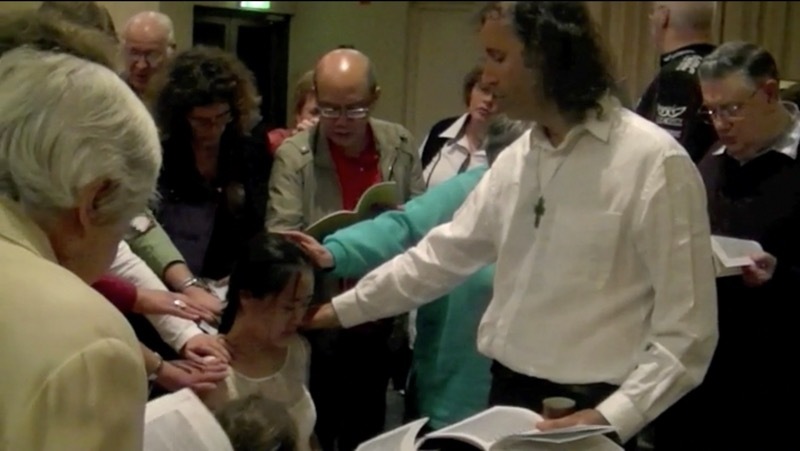 Anglican, Lutheran, Catholic and Orthodox) find our visual environment and the structure of our liturgy familiar, but are often surprised by how intensely congregational and participatory it is with prayers being led by people from within the circle and very little being left to identifiable clergy. Don’t panic though, we won’t be expecting you to suddenly lead anything – the regulars have it all covered. Most people are surprised that we sing so much and choose to do most of that singing acapella (without musical instruments), and nearly everyone is surprised that we have some long times of prayerful silence. You can learn more about our worship here. Although most of our worship is conducted in English, we value the inclusion of other languages. Members whose first language is not English regularly lead parts of our worship in their own language, and the English translation is provided for the rest of us. On a good week, you may hear languages as diverse as Chinese, Spanish, Arabic, Italian, German, Japanese, Ukrainian, Lithuanian and Jamaican Creole during the service, but they haven’t often all happened on the same week. 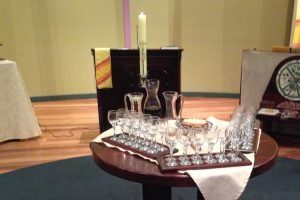 We share bread and wine at the Lord’s Table every Sunday. 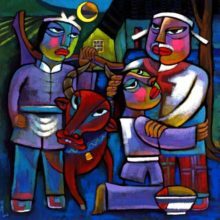 Since Jesus delighted to eat and drink with anyone who would join him, everyone is welcome to share at his table here, regardless of age, faith background or personal history. But we won’t be offended if you do not feel ready to offer yourself to Jesus and his people in communion and so abstain. 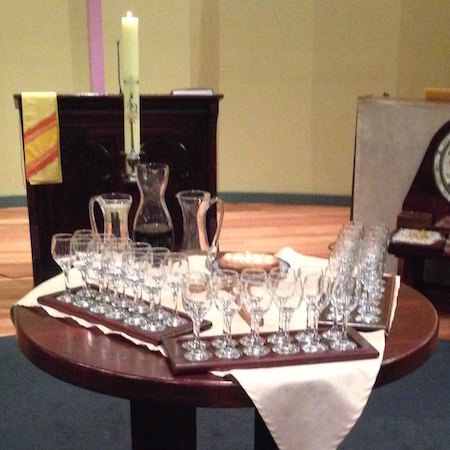 Our hand-made communion bread is fully gluten-free, and both strong wine and pure water are available to drink. As you may be able to see in the photos, neat-casual is the normal dress code at our church, but unless you turn up in your bathers or a tuxedo, no one is likely to pay much attention to what you wear. Our church is easily accessible by road or public transport. Tram no.72 stops at the corner of Surrey Road and Malvern road, about 1 minute’s walk from the church. Hawksburn Station is about 5 minute’s walk from the church and is served by trains on the Dandenong and Frankston lines. If you come by car, there is usually a good chance of getting a parking space in our off-street car park.